The celebration of Greta’s Junkyard Turns 4 at Manos Nail Lounge may have already taken place last Sunday, but it’s definitely far from over because I still have another surprise for everyone! I’m giving away Php 8,000 worth of products from K-Palette, Sleek MakeUP, Celeteque, Cure, Kracie, and Baby Foot! Having the pampering session and doing this giveaway is just my little way of saying thank you for sticking with me these last four years. It’s been such an exciting journey of sharing all my thoughts and stories with everyone, and I hope you guys never get sick of reading them and supporting Greta’s Junkyard. The mechanics to join this contest are simple. All you have to do is enter the raffle below. Contest runs until October 11, and the winner will be announced on October 12. Hurry and convince all your friends to join! You’ll never know who the randomizing app might just pick! Good luck, and thank you again for an amazing four years. You guys are genuinely the sweetest and most thoughtful readers on the planet. Joined po maam. Thanks for the chance and God bless! Thank You for the opportunity! 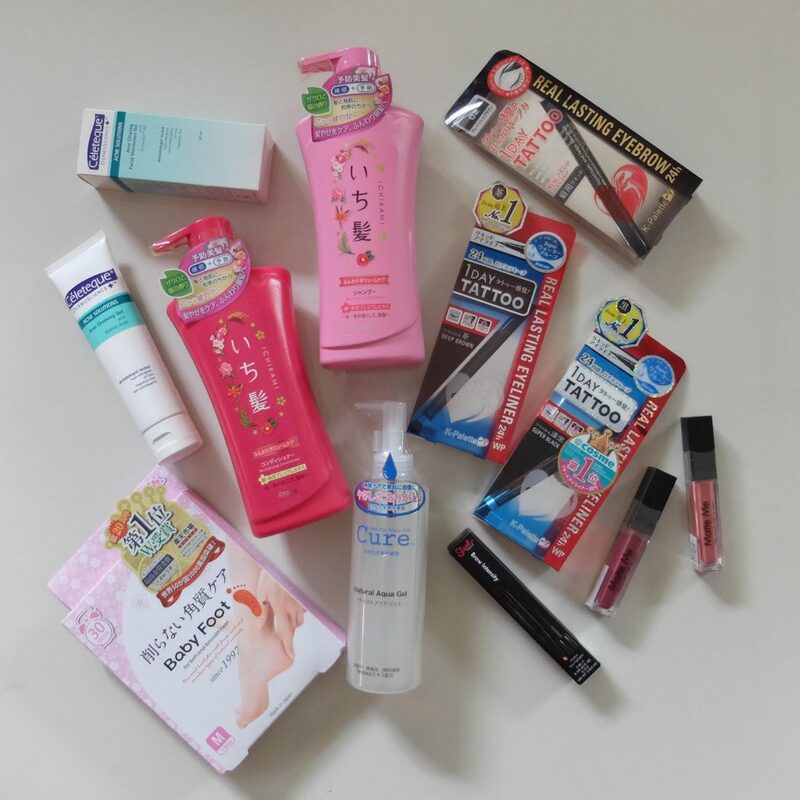 Love all the products for this giveaway! 🙂 I hope I’ll be lucky to win! Joned! Thank you for sharing these to us. Amazing giveaway! happy fourth yr Ms Gretchen! Happy 4th Year Anniversary Ms. Gretch! Always generous and sharing your blessing..more power! All done. 🙂 Happy 4th and more giveaways Greta’s Junkyard. Hoping to win. Happy 4th and more powers. Loving this giveaway ma’am. Hope to win. Done. Joined. Liked. Shared. Followed. So excited to win! Perfect this yuletide season to share with my love ones and friends! All d best and continued success po. Joined! i want to win these giveaways!! Happy 4th year anniversary po sa inyo. More powers po sa inyo and God bless you. Thank you so much Ms. GRETA such a great giveaways. So happy 4th anniversy for this kind of business hope more blessing to come with you. Been a follower of you on your social accounts for a long time already and im just so happy with all your success. Congrats and happy 4th anniversary ate gretch! Im just here to support you always, all ways! Winning those stuffs from you would really mean a lot to me because I really want to win for my moms birthday and my cousins wedding. Wishing, hoping, praying and looking forward for it! May God continue to bless you and your fam ate! Woah! The long wait is over. Good luck to us!